…if the new process doesn’t work. Today I am off for my seventh bone biopsy. Three of these have been without sedation the rest I have been put to sleep. I can tell you it’s very painful without. Apparently now UCLH has a new process which no doubt saves time and money. I shall be having a local anaesthetic and laughing gas! I can promise you I definitely won’t be laughing if it hurts too much. I did receive some good news yesterday, when I spoke on the phone to my myeloma nurse. Apparently my paraproteins are now so small in numbers they are undetectable. This is a victory for my stem cell transplant and hopefully the biopsy will further confirm this. The news to me is reassuring but not entirely unexpected. I have become to know my myeloma and it does tend to respond well to treatment but unfortunately in the past it has shown to come back quite quickly and with an even stronger fighting spirit, but perhaps this time will be different, I do hope so. I will also need to have another MRI scan at sometime to find out how the two masses that were on my spine are behaving. The radiation did a good job on them so I hope they have remained just shrivelled up little spots that are staying put. I won’t be seeing the consultant today as he wants to wait to have the results of my bone biopsy before discussing with his colleagues the next plan of action. I pray for a miracle to happen and a cure to be found very soon. Meanwhile I have an important job to do and that is to get on with living. Those that know me well know that I have always been a very positive person dreaming up all sorts of ideas for the future. I am trying very hard to still be that person but I must admit the last three months or so have knocked me for six. I now try to live in the moment and to enjoy the time, whilst physically feeling so much better. I can’t pretend this is always easy and I have so much admiration for those that do this and grab every moment of life living it to the full. Maybe I am expecting too much of myself as it’s still early days yet, being only 3 months since my stem cell transplant, and I still get pretty exhausted fairly quickly. Thinking back I suppose It also didn’t help that I always lived in a bit of a bubble, death was not on my agenda and maybe like many other people, I imagined myself as being immortal. When I received my diagnosis all that suddenly changed and I was forced to face what is the inevitable for us all I am afraid. I watch with great admiration, the courage of fellow Cancer sufferers who face this with such dignity and courage. I pray for a faith that will provide the promise of another place and listen so hard for a reassuring voice that will make it all alright. I won’t dwell anymore on this as I don’t want to depress myself or you dear reader instead I shall concentrate on how lucky I am to be alive today even if I do have to travel up to London for the dreaded biopsy! We had such a good time away and we will plan many more trips across Europe. 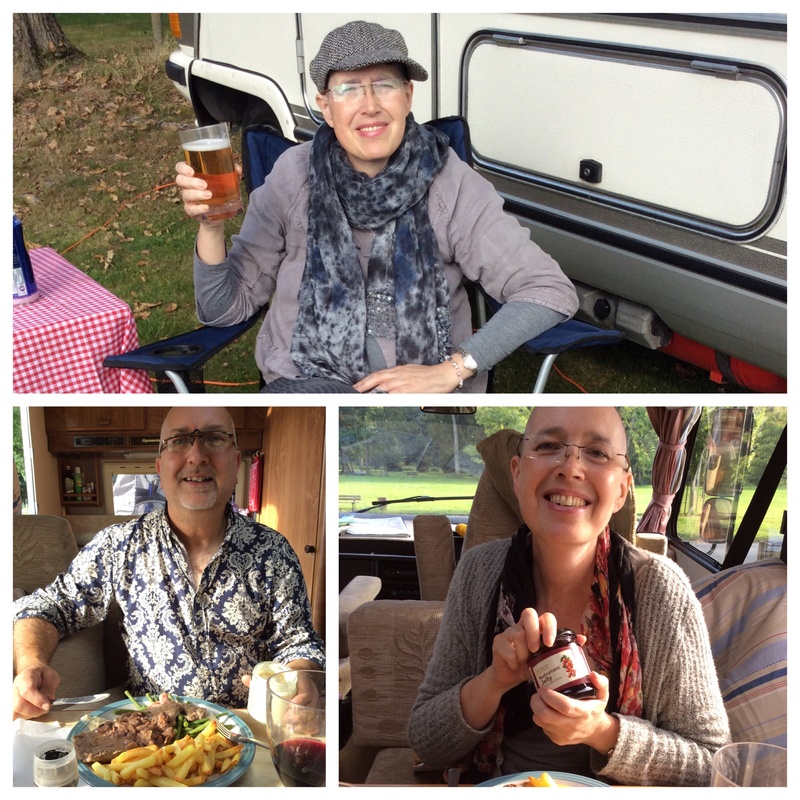 This week I have met up with an old friend and colleague and was so excited to find out she was a fellow motorhome owner. We talked about our travels, chasing winter sunshine and the advantages of taking your home along with you. I can’t wait to meet up again. I have also been pretty busy this week doing some work on another mental health project. This has been a great distraction although much harder work with my rather less able chemo brain. It did help however working on it with Allison and a piece of her delicious cake. Pollyanna is staying with us at the moment and is great company when we see her. She has started a new job managing the trauma service in Cambridge. She works so hard leaving early, getting home late and then getting back on her laptop and working more. She is so passionate about her job but I reminded her of the importance of a good work life balance. Pot calling the kettle black, Colin quickly pointed out, surely I wasn’t that bad? It is hard when you enjoy your work so much and it still saddens me how mine had to come to such an abrupt end. Still I am still manageing to keep my hand in and as my energy increases who knows what will happen. Oh yes and I still have several books to write. Could that be a bit of my old self coming back? The sun is shining on our journey down to London as I attempt to tap this out on my iPad whilst not getting car sick. I feel relaxed and happy, writing the blog is very cathartic and I have my soul mate by my side. I shall sign off now so we can chat about a possible trip to Holland and a drive up North to enjoy one Aunty Judy’s delicious Sunday lunches. 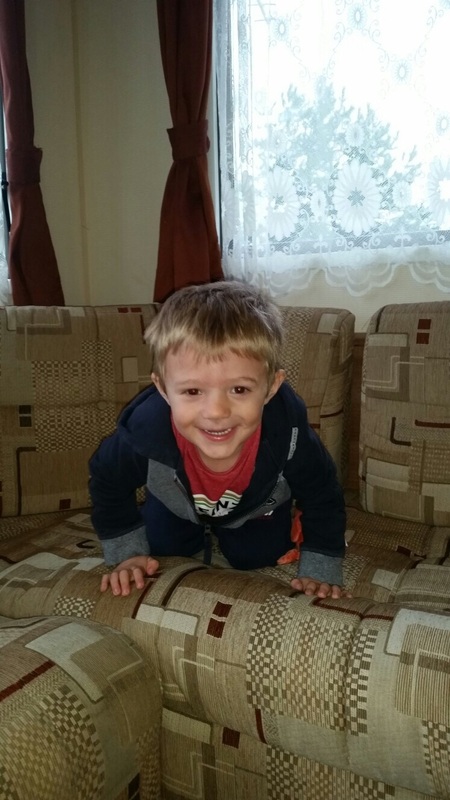 But not before leaving you a lovely picture of my grandson who is spending the week away in a caravan by the sea. Have a great day and take a moment to appreciate the little things around you. Just arrived back on UK soil…. …and the sun is continuing to shine. 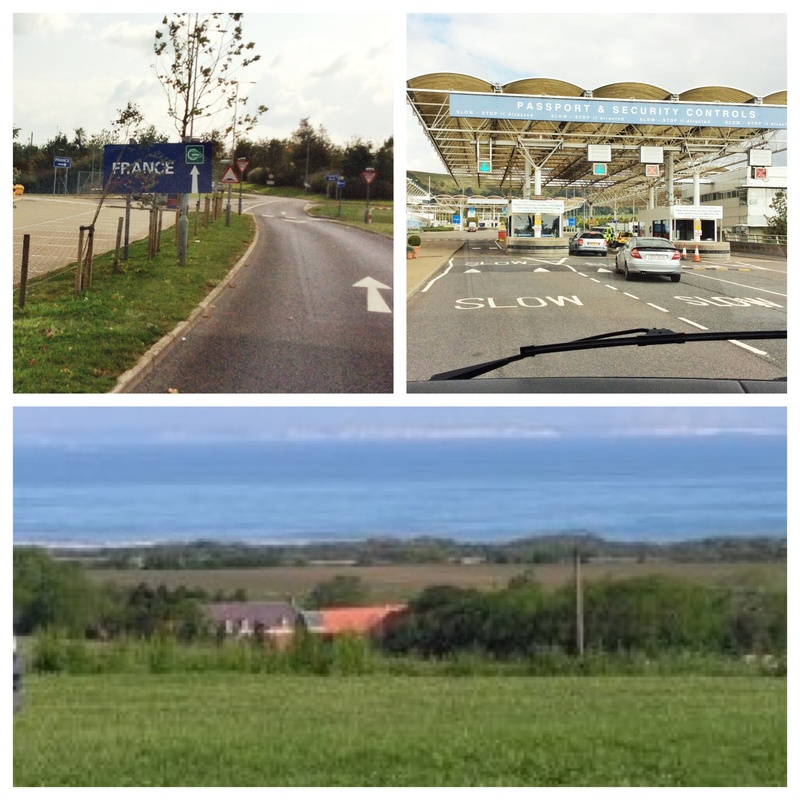 We left France at 10.06 (French time) and arrived in the UK at 9.35am. We really are time travellers. We have had a lovely time away and if it wasn’t for the looming hospital appointments we would have liked to have travelled further down south and perhaps into Spain or even across to Portugal. For now we are just grateful for having the energy and better health to have been able to have spent the time away we have had. 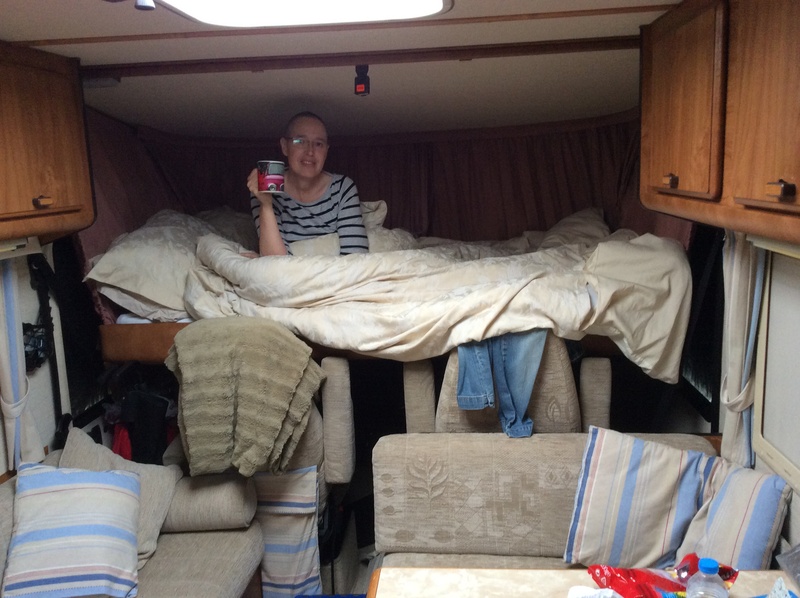 The motorhome makes things pretty easy going as we have everything we need with us. Most stops we made were either at free Aires or just a few Euros each although it was good to be able to stop off at a campsite for a couple of days at the more pricely sum of 18 Euros per night. We only needed to fill Helga up twice with diesel at 1.24 Euro/ litre which works out about 99p and we still have more than three quarters of a tank left, so we are pretty impressed with Helga’s performance. It was also a bonus to be able to enjoy the sunshine and a glass of wine or three with our good friends. 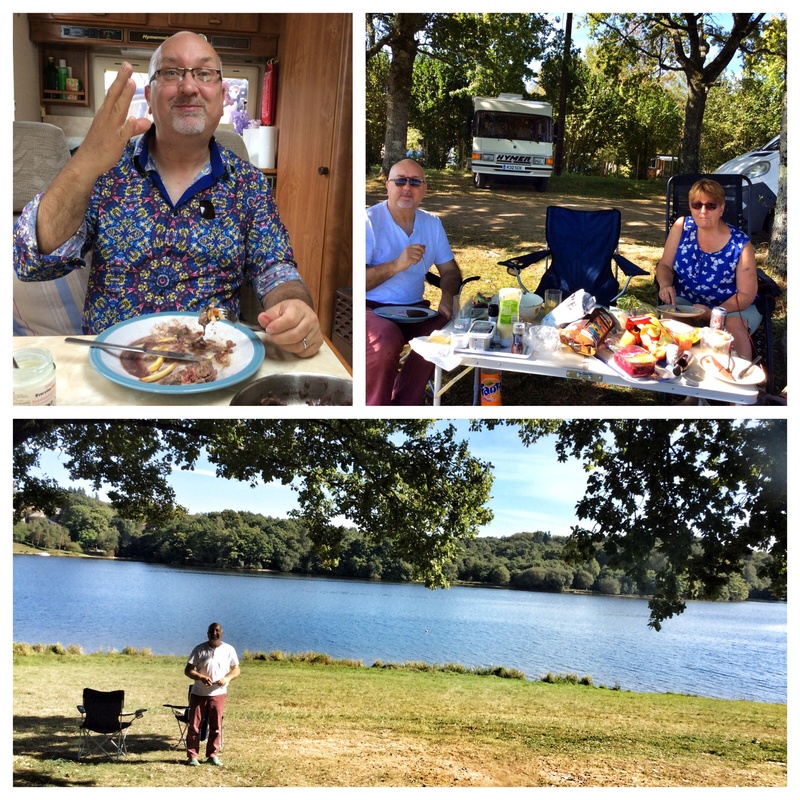 We had great fun French property hunting together before the idea was abandoned in favour of more travelling around in our motorhomes. We also got to visit Futuroscope again which never fails to impress us. Here are a few photos that I wasn’t able to upload from France although some of you may have caught sight of them on Facebook. Thank you again to my ex colleagues for my retirement gift of Euros which helped make this holiday possible. We both really needed this break and feel much better for it. 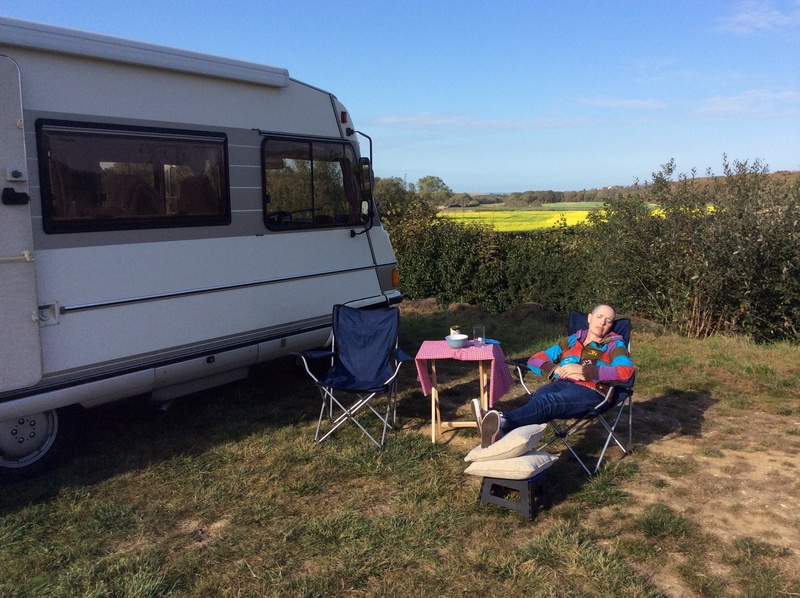 Let’s hope there will be many more motorhome adventures to come. Last night we enjoyed a cheese fondu party in Helga with our mates from a couple of vans down. Such fun! This morning we are heading off for a campsite in a forest somewhere near Rouen. We have just noticed Sue and Angela set off already but we are a bit slower to get going nowadays so will probably be about an hour behind. Still the weather looks promising so we should be in for another good day. …hence the ability to update the blog at last. We are at a very pretty free Aire in Chateaudun. It is in the shadow of an enormous Chateau and next to a river used for canoeing and kayaking. Unfortunately the excellent photo Colin has just taken for me won’t upload so you will just have to take my word for how pretty it is. We also spent a lovely afternoon enjoying a picnic next to a lake, reading, chatting to our good friends and watching the water activities. Photo’s will just have to wait. Having enjoyed another late lunch of steak and chips with mange tout and a lovely sauce made from onions, red wine, mushrooms, redcurrent jelly and Roquefort cheese, we are having a little afternoon nap (again). 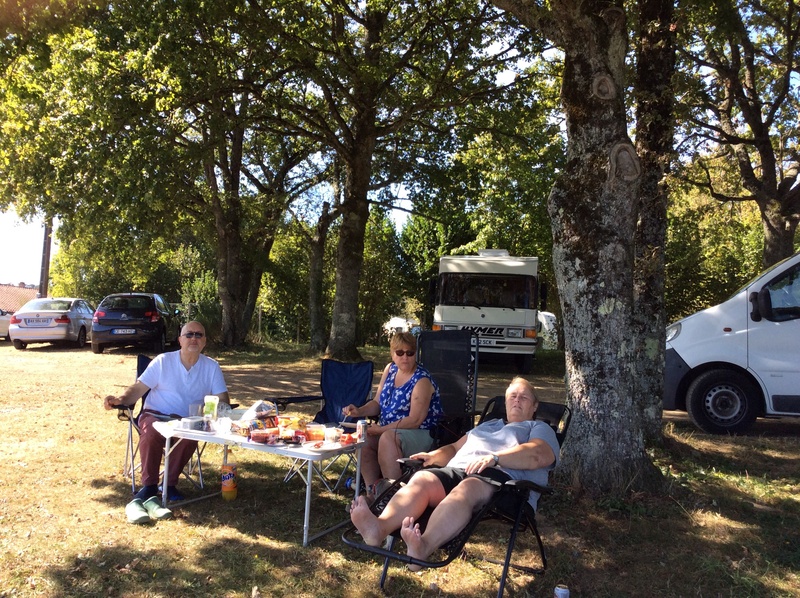 This really is the life, the motorhome more than caters for all our needs and France is so well set that you are free to travel along until you are ready to take a rest. There will always be an Aire somewhere close by and if not a very reasonably priced campsite. I just wish we were as welcoming and as well organised in the UK. We are thinking of delaying our channel tunnel ticket by a day so plan to travel back to the UK on Saturday. If it wasn’t for hospital appointments looming we would probably have stayed even longer, never mind there is always next time. Thursday Sept 25th and th sun is shining. Here we are at Futuroscope. I think it is probably our eighth visit here and as always it brings back many happy memories of previous visits with the girls when they were about eight and ten. On this occasion we are enjoying some time together with Sue and Angela. We met here yesterday afternoon and shared a few glasses of vino together before settling down for an early night. We were at the doors of the park as they opened at 10am and with the help of my disability badge were given priority access to all the major attractions. I even managed to hire a mobility scooter to save Colin pushing me around in the wheelchair. The only disappointment was that the magic show was cancelled due to some technical hitch. We have now come back to the motorhome for a cup of tea and an afternoon nap before the evening show. All is going better than expected and we are really excited about going to see the French house tomorrow, that Sue and Angela are just about to purchase. We are managing to eat pretty well too and cooked up a great steak meal on Tuesday I even remembered the essential red current jelly! Time for that rest now before the evenings exciting events. Mon 22nd Sept 2014 Bonjour from across the Channel. Travelling to France through the channel tunnel is the way to go. It was so quick and easy. No sooner had we driven on to the massive train and undone our seat belts it was time to start up again and head for our first Aire. It literally took 35 mins and because we managed to get on a much earlier train we were in France by 2pm (3pm French time). Our friendly satnav successfully guided us through pretty country lanes to our first stop only a short distance from the boarder. It was a pretty quiet location on a farm not that dissimilar from home. There were about eight other motorhomes there already and a few more arrived later, all of them French. For 5 Euro’s a night it was a bargain and we were especially delighted to find out that we could still get English TV so managed to watch the first episode of the new series of Downton Abbey. We are now enjoying a beer in the sunshine at another Aire in a little town called Serifontaine. Unfortunately it’s too far up a steep hill to walk into the centreville so I shall have to wait until tomorrow to visit the local patisserie. Internet is hit and miss with our Mifi and uploading photos seems to take ages so if you don’t hear from us blame it on the web. At the beginning of the week I wasn’t sure how I would find the strength to achieve all that I had planned. Each day however I have been getting a little stronger and I am delighted to report all has gone very well. 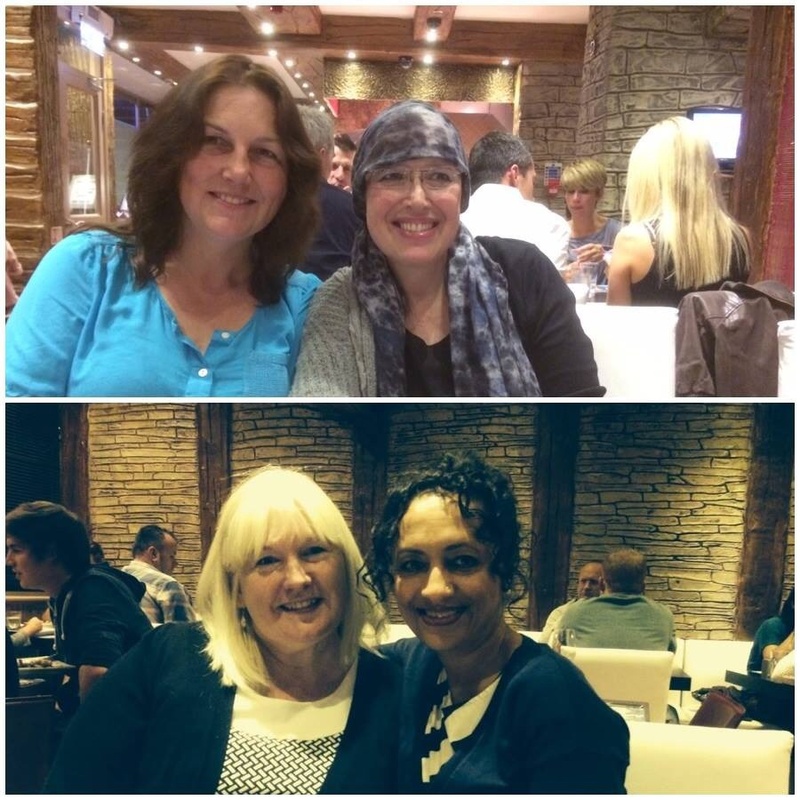 My first challenge was to have an evening out with some old colleagues back from the days when I worked at the Lister Hospital. It was something I haven’t been able to do for some time now. I was kindly picked up by one of my friends and we met up with the other three girls at a lovely Turkish restaurant in Hitchin. A good time was had by all. The next day a shopping trip was organised with Pollyanna. Planning ahead I called Shopmobility at the Cambridge Arcade and booked myself a mobility scooter. I found this quite emotional as I just wanted to be able to wander around with my daughter, as I was able to do, less than two years ago. 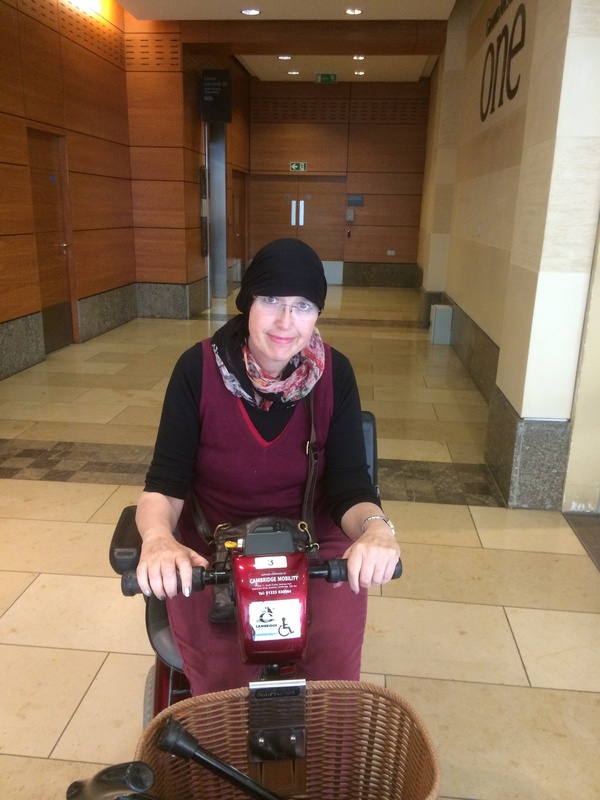 It was however very helpful and worked out much better than being pushed around in a wheelchair and gave me the independence I needed. It is a free service and you even get to park for nothing and once I got the hang of it I was whizzing around in and out of all the shops I could get into. It was also our 10th Wedding Anniversary on Thursday, and I felt very grateful for all the wonderful times Colin and I have spent together. We really are soulmates. 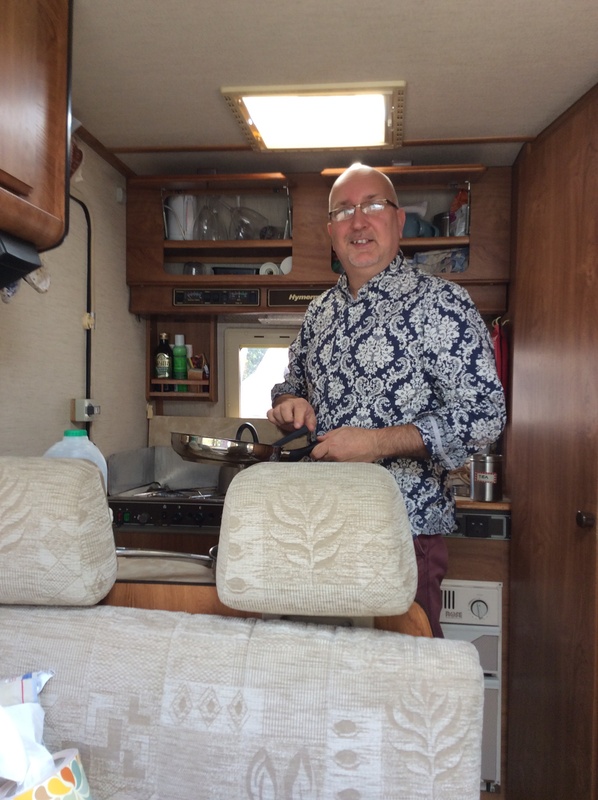 Friday was spent cooking and preparing for a family lunch on Saturday and packing up the motorhome for our trip away. This was something I couldn’t have even dreamed of doing last week when even getting downstairs was still quite a struggle. It was also great to feel I was able to help out a little and not leave everything up to Colin. Yesterday was a lovely day as we were joined by Pollyanna, Jem, Elliot, Lucy (still in her mummy’s tummy), my nephew Charles, my parents and my Aunty Mo and her partner who were visiting from Australia. It was very exciting to see Mo who has been a great support to me, from the other side of the world via the internet. So here we are today travelling down to the channel tunnel. The sun is shining and I am able to put Myeloma to the back of my mind. I am enjoying life again and taking full advantage of feeling well for the first time in many months. It is day 73 (of my Stem Cell Transplant) and I can assure my fellow myeloma buddies that there is light at the end of the tunnel. This was something only a few weeks ago I dared not to believe myself. So very soon, slowly we will meander through little French villages, stopping at local patisseries for fresh croissants and a baguette or two. We shall sample local wines and enjoy some Moules Mariniere and Frittes. Most excitingly, we will be meeting up in a few days time, with our best friends Sue and Angela, who are already in the Haute Vienne region in France. We have every convenience on board our motorhome and we will enjoy relaxing, reading and just spending time together. This really is the good life, long may it last! Much love to you all and thank you for helping make this possible. PS. Just stopped off for a fry up as we are so early for our channel tunnel train. Today's going to be a good day! Who is this coming up from the desert? Light the fuse, ignite inspiration!